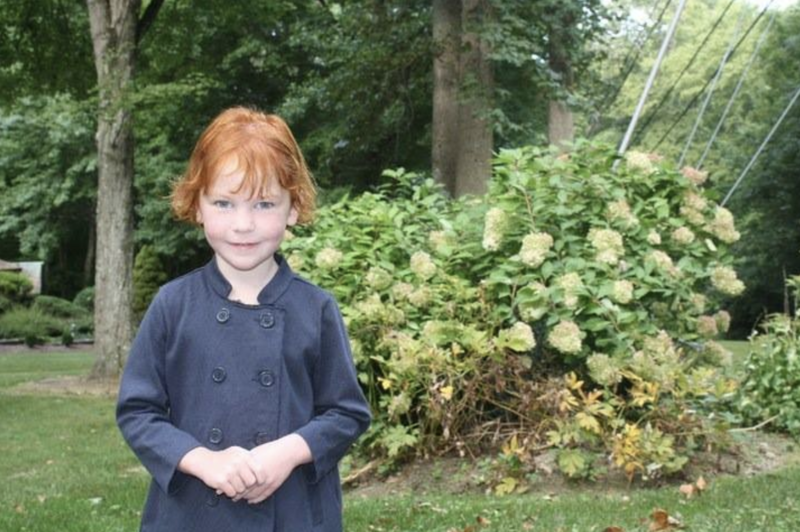 When Catherine Hubbard wasn't in class at Sandy Hook Elementary School in Newtown, Connecticut, the 6-year-old was most likely spending her time lining up her stuffed animals, playing with her 13-year-old yellow Lab named Sammy and running around her backyard attempting to catch (and release) butterflies. "It wasn't like she loved one certain type of animal -- she ran the gamut, and was inclusive of all of them," Catherine's mom, Jenny Hubbard, told CBS News. "It's who she was, and we just allowed her to pursue that and cultivate that love." Catherine's fiery red hair matched her personality perfectly. The first-grader was passionate about the things she loved, and animals were at the top of the list. "We were a family who had pets we cared for, but I feel like her spirit for all living beings really superseded what we had taught her," Hubbard said. When Hubbard got a tragic call Dec. 14, 2012, about a shooting at Sandy Hook Elementary, she rushed to the fire house to find Catherine's distraught older brother, Freddy. Some parents started calling the hospital, but Hubbard didn't. "I sat there with Freddy because I knew in my heart, I knew that Catherine was gone," Hubbard told CBS News in a 2013 interview. "I just knew it. Mother's instinct, call it what you want." Unfortunately, Hubbard was right. Her 6-year-old daughter was one of the 20 children, along with six adults, killed in the shooting. In the days following the shooting, as Hubbard arranged Catherine's funeral, she struggled to find a way to honor her daughter's memory. Then she spotted an animal, and pictured Catherine's cheerful grin. So, in lieu of flowers, the family asked that donations be sent to a local animal rescue in Newtown in Catherine's name. "We did not realize at the time the volume of generosity and the magnitude of donations received in Catherine's memory," Hubbard said. Because of those donations, Hubbard eventually built something that her daughter had always dreamed about: an animal sanctuary. For nearly four years, Hubbard and her husband, Matt, have been tirelessly working to build the Catherine Violet Hubbard Animal Sanctuary on a 34-acre farm donated by the state of Connecticut in 2014. "It will be a place of healing for all animals, all beings, and it's done through compassion and acceptance," Hubbard explained. They started small, partnering with Newtown public schools to offer a curriculum that teaches kids about animals and their habitats. Then they started hosting a yearly adoption event called "The Butterfly Party" every June to mark Catherine's birthday. They found homes for dozens of animals. In recent months, they started offering free educational events once a month on Sundays that are open to the public. But in 2018, Hubbard hopes to officially start construction on a farm animal refuge for sheep, goats, chickens and more. Finding a permanent place to house animals has been Hubbard's goal from the beginning. "We envision that component of it being a lot like 'Charlotte's Web.' That's the last book [Catherine] and I read together," Hubbard said. "We will have an on-site animal refuge and continue collaborating rescue efforts." When the animal sanctuary is complete, Hubbard admits it will be "bittersweet," but she hopes those who visit will feel Catherine's presence, and it will foster their love for all living creatures. "If someone can find something that sparks something in their heart -- if an interaction with animal or being a part of the sanctuary gives them a purpose other than what they may feel, whether they're feeling desolate or isolated -- then the sanctuary has done good," Hubbard said. "Who knows? It could change the trajectory of their life and maybe, in our world, maybe prevent another Sandy Hook that we'll never know, and that's OK with us."